I just sold my store after 35 years in retail. I was successful in the business and am well-regarded in my industry, so I’m thinking about doing consulting and helping others who want to do as well as I did. My problem is that I’m 69 years old and my daughter tells me I should slow down and spend time with the grandkids. While I do love my family, I don’t want to stop and head for the rocking chair. What do you think I should do? You are facing what scores of others nearing retirement age experience; families often pressure them to slow down and give up what they loved to do. I urge you to do what is right for you. I also suggest that you do a quick “Google” of how to start a successful consulting practice. You’re totally primed for success in that arena, which by the way, would afford the kind of flexibility you would need for walks in the park with the grandkids. I’ve got a real problem and I’m not sure where to turn. My significant other doesn’t like the business I’m trying to create. I think it threatens him in lots of ways beyond my control. This business means more to me than money. It’s a vital part of my life. I receive tremendous personal reward and can see great things ahead, but the stress I’m feeling right now from his negativity is getting to me. That said, the thought of having to quit the business is more than I can bear. Any suggestions? Ouch! You are definitely experiencing one of the thorniest problems around. You need to determine something important: Is your significant other really on your side? Does this person really want you to win by achieving goals important to you? If the answer is yes, do everything you can to educate him about what you are doing. Sometimes feelings of isolation and lack of information are underlying reasons for apparent negativity. If, however, you answer no, please accept my sympathy because your significant other is a full-fledged member of your sabotage crew instead of the vital support system you need. Sabotage crews make you choose one or the other – your niche or them. My hunch is you’re headed toward that uncomfortable decision. I’m a trainer here in the area. I write materials that I use with business and industry clients. Recently I talked to an organization about my program, with the goal being to sell them my services and materials. In the course of our conversation, the person I was talking with expressed lukewarm interest, mainly because, as she said, “we already use a part of it in our training program.” I was aghast because I hadn’t sold them any books nor had I trained anyone from their organization to use the system I spent time and money creating. Bottom line is they decided not to buy because they have my materials from someone else, which they have adapted to their needs. Have you ever heard of such chutzpah? Yes, I’ve heard about it all too much! I also choose to call it something other than chutzpah; it’s flat-out stealing. As you know, I’m not a lawyer, but I sure know where to go to get a good one. I suggest you do the same thing. Fast. Dr. Lynda Falkenstein is a business consultant and author of NICHECRAFT: Using Your Specialness to Focus Your Business, Corner Your Market, and Make Customers Seek You Out. To contact her with questions or comments, email DrNiche@vbjusa.com or call 503.781.0966. 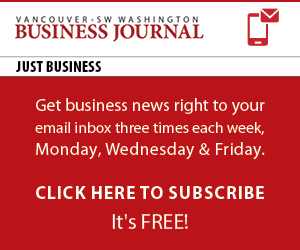 Please note that the Vancouver Business Journal and Dr. Niche reserve the right to publish your letter or an edited version in all print and electronic media.